Colorado Lawmakers Weigh 'Red Flag Law' As Gun Owners Push Back Coloradans are debating a bill that would allow guns to be temporarily taken away from someone who is a significant risk to themselves or to others. Colorado State Rep. Cole Wist speaks to State Rep. Larry Liston at the Colorado State Capitol on April 25, 2018. Wist, a Republican, is one of the sponsors of a bill that would allow guns to be temporarily taken away from someone who is a significant risk to themselves or to others. Surrounded by law enforcement, district attorneys, and advocates, Colorado lawmakers unveiled a bill on Monday that would allow guns to be temporarily taken away from someone who is a significant risk to themselves or to others. Nine states already have similar laws on the books, which are known as "red flag laws," and at least 20 more are considering similar legislation. In Colorado — a state with a history of mass shootings as well as high levels of gun ownership and of suicide — the debate over this type of legislation has become particularly urgent. 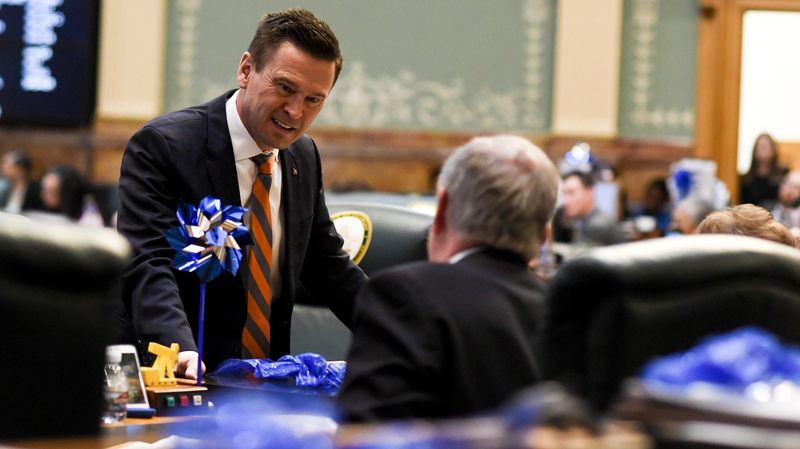 "This bill carefully preserves due process and constitutional rights of Coloradans while giving law enforcement and courts the tools that they need to get a person in crisis the help that they need," Republican State Rep. Cole Wist, one of the sponsors of the bill, said. "Law abiding gun owners have nothing to fear with this legislation." In his remarks at the press conference, Sheriff Tony Spurlock, also an elected Republican, spoke directly to Colorado politicians. For many supporters of the bill, what got them on board was an event involving Sheriff Spurlock's deputies New Year's Eve 2017. Officers responded to two calls that night at an apartment 20 miles south of Denver. At the door, they met 37-year-old Matthew Riehl, who had access to guns and was known to be mentally ill. Riehl had been diagnosed with bipolar and PTSD symptoms. He also had been harassing his family, made threats against his law school professors, and against local police, who had been dealing with him for months. 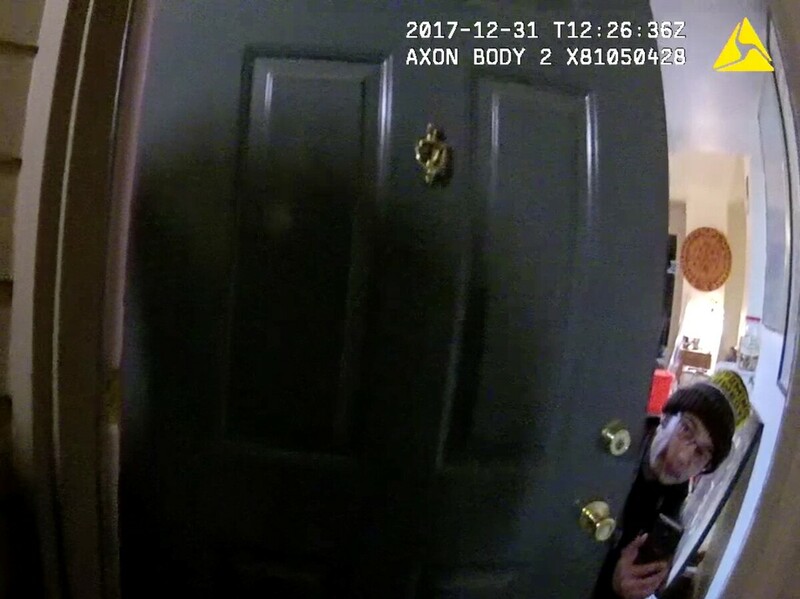 Matthew Riehl peeks from behind the door of his apartment just minutes before he shot and killed a Douglas County sheriff's deputy and wounded four other law enforcement officers and two civilians in a shootout on New Year's Eve 2017. That night, in his interactions with the officers, Riehl became aggressive, shouting and slamming the door. The officers believed he that he might hurt himself or others in the apartment complex so they decided to put him on an M1 or mental health hold, to force him into a hospital for treatment. When the officers went in, Riehl started shooting and they shot back. "...We need medical here now. We have one deputy down inside the apartment," one of the officers said as she called for help. "I'm not getting anything from him. All of us have been hit at least once." Riehl killed Deputy Zackari Parrish and injured four more officers. Riehl himself was also shot dead. In an exclusive interview with Rocky Mountain PBS, his mother, Susan Riehl described trying to get her son help for many months. Susan Riehl says her family tried in vain to get her son Matthew mental health treatment in the months before he killed a Douglas County sheriff's deputy and wounded four law enforcement officers and two civilians in a shootout on New Year's Eve 2017. "I mean this was the worst outcome was the fact that he had died and that he had also killed somebody else...There should be a better way to deal with these situations, so that nobody dies," Susan Riehl said. For supporters, this new bill, named the Deputy Zackari Parrish III Violence Prevention Act, is that better way. The bill would allow family or law enforcement to ask a judge for an extreme risk protection order. If the order is granted, the individual would have to give up their guns to law enforcement or to a federally licensed firearms dealer for six months. Under the bill, the order is subject to a hearing within seven days. While the legislation has some Republican support, many lawmakers in Colorado are skeptical. "My first reaction was, oh, this is just an attempt at gun control," Republican State Sen. John Cooke, a former sheriff, said, in describing his reaction when he first heard about red flag laws a few months ago. His thinking has changed a bit since then but he still has concerns. "So the downside is we have to get it right and if we don't get a right, I can see abuses by the government, by the courts," Cooke said. "If we can get it right where we get somebody to treatment because they're having mental health issues and they're actually going to go out and maybe do a mass shooting, then obviously that's the upside. But if we just start taking guns away from people when we don't have proof or there is no due process, that's a very slippery slope. In Colorado, anything gun-related is controversial. In 2013, when Democrats controlled the legislature, they passed gun control measures in the wake of the Aurora theatre shootings, without a single GOP vote. Then, the political backlash kicked in. Two Democrats who voted in favor of the measures were recalled and Republicans won back control of the Senate. Pushback on Colorado's red flag bill is starting already. Rocky Mountain Gun Owners, which describes itself as state-based gun lobby, with more than 200,000 Facebook followers, posted a message on its page after the bill was introduced, urging people to call Rep. Wist and tell him to stop pushing gun control. Lawmakers here don't have much time to hash this out, the legislative session wraps on May 9. 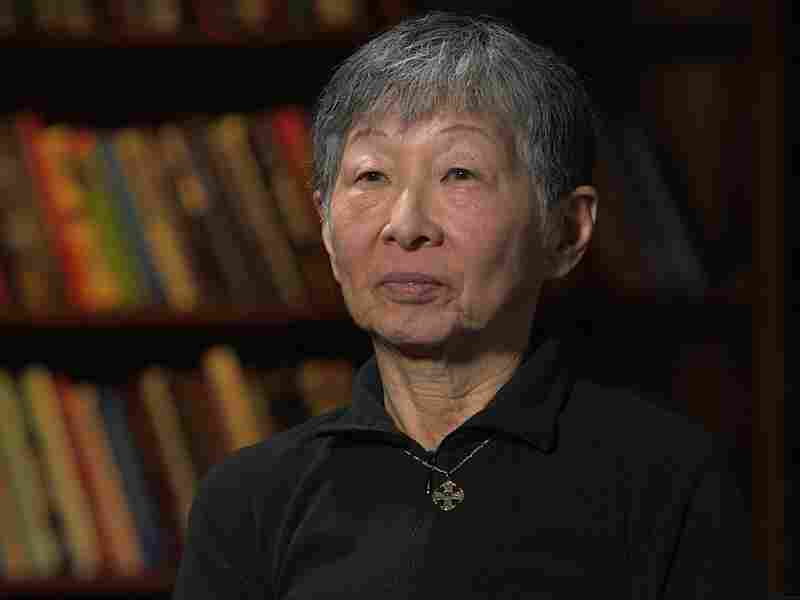 This story was reported in collaboration with the investigative news program Insight, produced at Rocky Mountain PBS. Previous audio and Web versions of this story incorrectly said eight states have red flag laws on the books. There are actually nine.